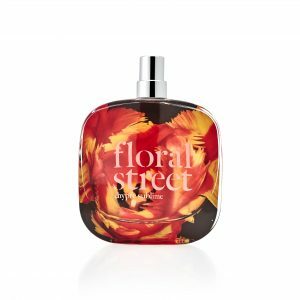 With creations by one of the world’s leading perfumers, the new perfume house Floral Street is going to shake up your opinions about florals with their contemporary spin on floral fragrances. 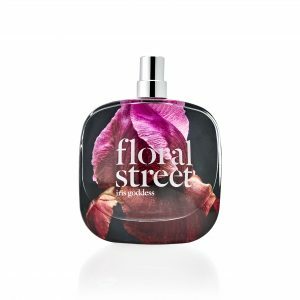 Floral Street is a dynamic fragrance brand born of the vibrant streets of London. 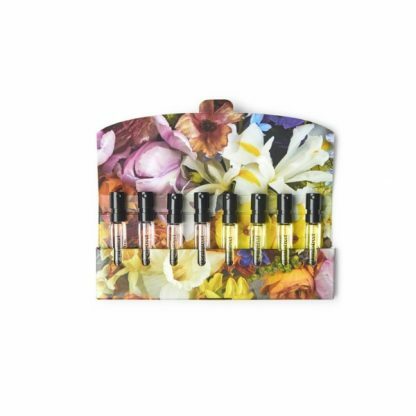 It is a collection of contemporary fragrances, powered by flowers. It is vibrant, energetic and feminine. 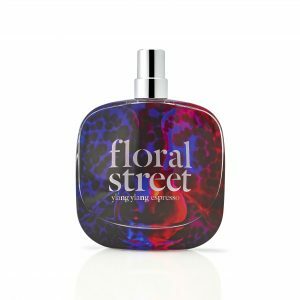 Floral Street is about breaking with tradition. It's about bunches, not bouquets; ingredients, not notes. It's about ease, modernity and joy. Jérôme Epinette, one of the finest perfumers in the industry, known for his mastery of natural ingredients, created each scent using prized raw materials sourced and synthesised by the iconic fragrance house, Robertet. Black Lotus – is the classic English-Rose dressed in a black leather jacket. Intoxicating, spirited, bohemian and alive. Complex and multi-faceted, the sweet honeyed scent of centifolia rose adds depth to lighter, spicy nuances by way of red peppercorn and saffron. Once smelt, forever adored. Jérôme Epinette, one of the finest perfumers in the industry, known for his mastery of natural ingredients, created each Floral Street scent using prized raw materials sourced and synthesised by the iconic fragrance house, Robertet. Chypre Sublime – Because Floral Street never smelled a flower they didn’t like, they loaded almost all of them into this un-put-down-able blend. Purified damask rose, violets, patchouli and geranium tap their feet. Olibanum – used to awaken the spirit in meditation – offers a resin-soaked wooden table for the flowers to perch on. A fragrance for musicians, painters and poets. Jérôme Epinette, one of the finest perfumers in the industry, known for his mastery of natural ingredients, created each of Floral Street's scents using prized raw materials sourced and synthesised by the iconic fragrance house, Robertet. Wild Vanilla Orchid is vanilla, but not as you know it. 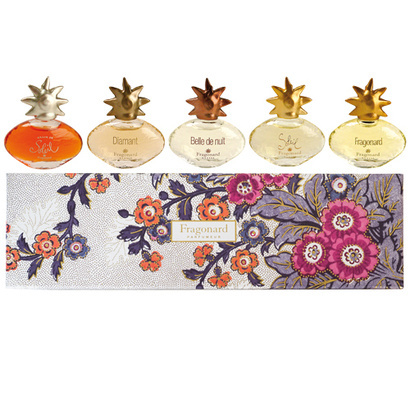 A raw-edged confection of creamy vanilla beans, blossom, cassis and citrus, dressed in a bunch of just-plucked jasmine. Offsetting the lingering sweetness; bamboo and sandalwood bend and fold underneath. Laid-back but exquisite. White tulle and high top, in fragrance form. Iris Goddess – there’s nothing shy about these violets. An explosion of powdery petals collide with ripe red fruits. Black vanilla, warm musks and earthy carrot seed bring exoticisim and depth, sparkling lemon zest and red chilli pepper add a jolt of life. Other-worldly and mystical. From the forest to the desert. An adventure in a bottle. 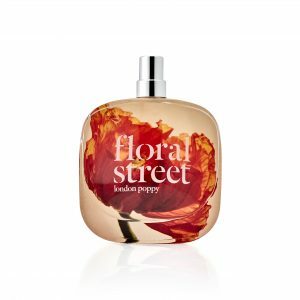 London Poppy is a love letter to London: a city as tough as ever-lasting poppies. A city that sees the sun through the clouds, a scent that opens with a bright beam of light. Sicilian lemon and Florida orange bring the zing. A salt-spray marine note adds an unexpected sea-facing view. The ultimate urban mood-lifter. 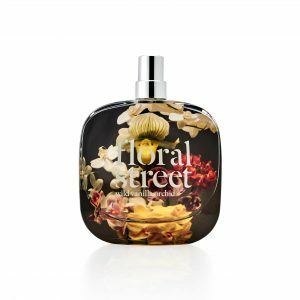 Floral Street is about breaking with tradition. It's about bunches, not bouquets; ingredients, not notes. Wonderland Peony is a sweet floral stuffed full of peonies, pink berries and violets. A shot of cedarwood lends a woody-balsamic warmth, while vetiver injects the tiniest hint of hazelnut. Sophisticated, not soft. Captivating not cute. Wonderland Peony This not only features armfuls of that flower, but pink berries and violets, Anything but cutesy, it’s given a woody-balsamic warmth by cedarwood, alongside vetiver. Chypre Sublime An utterly modern take on this sophisticated fragrance family, blending incense with Damask rose absolute, midnight violet, pink pepper and geranium, on a stunning base of benzoin, labdanum and olibanum. Black Lotus The classic English-Rose dressed in a black leather jacket. Intoxicating, spirited, bohemian and alive. Complex and multi-faceted, the sweet honeyed scent of centifolia rose adds depth to lighter, spicy nuances by way of red peppercorn and saffron. Iris Goddess There’s nothing shy about these violets. An explosion of powdery petals collide with ripe red fruits. Black vanilla, warm musks and earthy carrot seed bring exoticisim and depth, sparkling lemon zest and red chilli pepper add a jolt of life. London Poppy A love letter to London: a city as tough as ever-lasting poppies. The scent that opens with a bright beam of light. Sicilian Lemon and Florida Orange bring the zing. A salt-spray marine note adds an unexpected sea-facing view. Neon Rose You will never have smelt flowers like these. Freshly chopped jasmine draped around your neck. Roses around your wrist. And yet no roses were harmed in the making of this showpiece – these buds were cooked up in a lab for extra punch. Crisp, green Angelica leaves bring a botanical dimension, while fresh Bergamot floats overhead. Wild Vanilla Orchid It’s vanilla, but not as you know it. A raw-edged confection of creamy vanilla beans, blossom, cassis and citrus, dressed in a bunch of just-plucked jasmine. Offsetting the lingering sweetness; bamboo and sandalwood bend and fold underneath. Ylang Ylang Espresso A strikingly modern blend of red rose, ylang ylang and jasmine cross paths with a soothing cloud of just-brewed coffee, fresh cream and Sichuan pepper – sustainably harvested from the foothills of the Himalayas. A fragrance to get lost in. PS It it isn’t just the fragrances which are strikingly innovative, but the packaging. 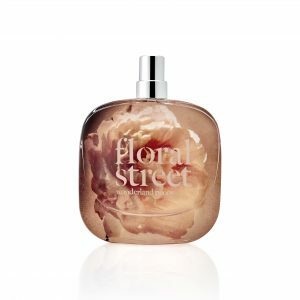 Each of Floral Street’s full-size bottles showcases a stunning, decadent flower artwork by renowned fashion photographer Matthew Donaldson – whose flower-powered photography also adorns this Discovery Box.